Hirsch tailors all of his music to highlight the individual personalities of his band-mates, all of whom are long-time friends and collaborators of Hirsch, and who are top-flight musician-educators mostly residing in small cities and college towns far from big urban areas. Collectively, they’ve performed and recorded with the Bob Mintzer Big Band, the Airmen of Note, the Buddy Rich Big Band, the US Army Jazz Ambassadors, the Scottish National Jazz Orchestra, Maria Schneider, Max Roach, Curtis Fuller, Clark Terry, and the indie-pop band Saint Motel. 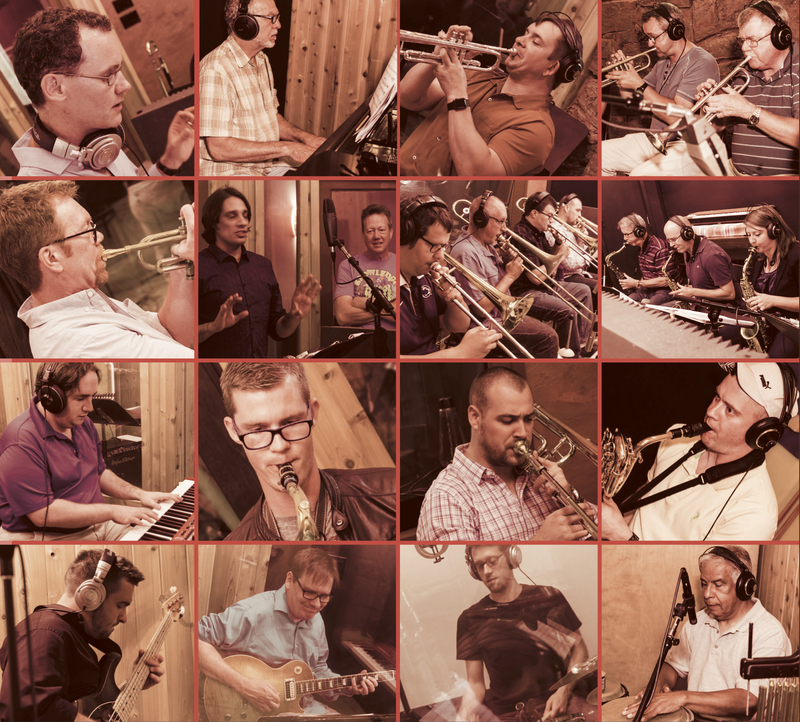 The Big Ol’ Band’s CD Pocono Git-Down celebrates the under-the-radar regional jazz scenes that are thriving beyond the fringes of major metro areas and in "flyover country." It was recorded in the legendary Red Rock Recording studio in the Pocono Mountains. Featured soloists include trombonist Jim McFalls, pianist Steve Rudolph, accordionist Alex Meixner, saxophonists Greg Johnson and Pete Barenbregge, and trumpeter Eddie Severn. Hirsch began his career apprenticing with master jazz composers Bob Mintzer and Toshiko Akiyoshi, serving each as a personal music copyist. He has since garnered numerous composition awards and countless commissions for artists including jazz icons Yusef Lateef, Tito Puente, and Eddie Henderson; the Capitol Quartet and Osland Saxophone Quartet; and the Penn State Blue Band, to name a few. And he lives in the middle of Pennsylvania, three-hours drive to the nearest big city. A central mission of the Big Ol' Band is to inspire and excite young musicians—the same way we were excited by great bands when we were that age. Watch Rick explain this to student musicians in Central Pennsylvania before a big concert.